Arrival at the Ngurah Rai Airport in Denpasar . Here the Bali Overnight Tours of driver will be waiting and transfer to your Hotel around Kuta area. After breakfast Bali Overnight Tours of driver very delighted to bring you i to Bali's famous sea temple, Tanah Lot. This temple is built on a huge rock at high tide and surrounded by the sea. You can enjoy the magnificent view of the temple. 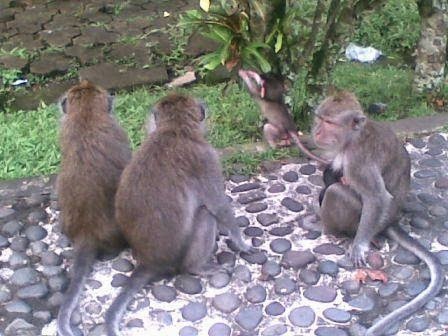 Then Bali Overnight Tours of driver take you to Alas Kedaton, or the monkey jungle. There are thousand of monkeys around this jungle and see Big Bats too . In the afternoon Bali Overnight Tours of driver will drive up to Jatiluwih, which offers amazing views of the beautiful rice terraces. Bali Overnight Tours will be serve your lunch, while see nice view, cool breeze of temperature around this wide of fields. You get freely, helping by Bali Overnight Tour of driver to take photo shoot here too. After that the trip will be continue, where Bali Overnight Tours of driver bring you via countryside to Bedugul Mountain Resort. Overnight at hotel Resort around Bedugul area. Very good hotel, located at mountain area with enough cool of weather here. Bali Overnight Tours of driver stop a visit the Bedugul area, which located about 1200 meters altitude. Here with Bali Overnight Tours of driver, a visit a fruits market wide variety of tropical fruits, vegetables, flowers you can find here. Bali Overnight Tours advise that if you buy something here you can bargain the price first. Just a few minute from this market Bali Overnight Tours of driver will drive up to the most photographed temple in Bali, it is Ulun Danu temple, which it’s look like floating on the Beratan Lake. This temple dedicated to worship Goddes of water called Dewi Danu. Then Bali Overnight Tours of driver make stop at very nice view of Buyan and Tamblingan of twin lakes, just relax, enjoy the nature Bali Overnight Tours of driver always ready to help you for take picture shoot here. The last one Bali Overnight Tours will drive up directly to your Overnight Hotel, where located on the beach at Pemuteran area. After breakfast Bali Overnight Tours of driver very delighted to bring you to the magnificent Buddhist Temple, called Brahma Wihara Arama. Just a few minute from this temple, Bali Overnight Tours of driver will be stop at the sacred hot spring "Air Panas", of Banjar situated in a beautiful garden. Bali Overnight Tours suggest you to take a bath in the natural this hot spring which the water temperature around 38 degrees (do not forget your swimsuit). Via Singaraja Bali Overnight Tours of driver will drive up behind the north coast of Agung Mount to Tulamben ; Bali best dive site here. Bali Overnight Tours suggest you to do Optional Diving to see the wreck ship of World War II here. Then Bali Overnight Tours of driver take you to your overnight hotel which located at Amed, one of the last unspoiled areas of Bali and until recently it’s best kept secret . After breakfast, Bali Overnight Tours of driver take you through a beautiful scenic area with lush rice terraces, streams and steep ravines to Tirtagangga is old Royal water palace of the former King of Karangasem. 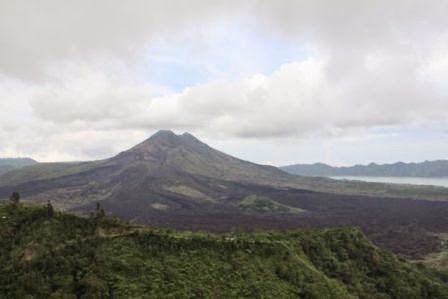 After that Bali Overnight Tours of driver will drive up to the mother temple of Bali, the Besakih Temple, which is situated on a slope of Mount Agung.Then Bali Overnight Tours of driver bring you to the mountainous area Kintamani, at an altitude of 1450 meters. The temperature here is much milder and enjoy the view over the mount and Lake Batur, while Bali Overnight Tours served lunch here. You freely helping by Bali Overnight Tours of driver to take some photo shoot too. The next trip Bali Overnight Tours of driver will take you to Mas village, a very famous of woodcarving center in Bali. Then Bali Overnight Tours of driver will bring you to Celuk village, as center of Gold and silver smith. The last one, Bali Overnight Tours of driver take you to overnight hotel where located at Ubud area, as the center of arts and craft. After breakfast, Bali Overnight Tours of driver will drive up to GWK as the culture park of Bali where we can see the highest statue in the world. Afterward Bali Overnight Tours of driver very delighted to bring you to Dreamland as the sandy beach with it’s crystal sea water. Than Bali Overnight Tours of driver take you to Uluwatu temple, one of Bali’s famous temple that build at 16th century and located on the cliff. Bali Overnight Tours of driver will show you the stage where you see the traditional Kecak and fire dance in outside of this Uluwatu temple. After that Bali Overnight Tours of driver take you to Jimbaran Bay where Bali Over night Tours will be serve fresh seafood dinner at this Jimbaran beach. The last one Bali Overnight Tours of driver take you to overnight hotel which located around Kuta again. The last of this package overnight tour,Bali Overnight Tours will take you to Airport Ngurah Rai. Have a nice flight back to your country.